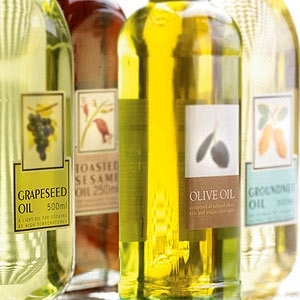 Maggie Nemser, over at Yahoo!’s new Shine Foods, wrote an interesting post yesterday about expensive olive oils. The verdict: they’re pretty much unnecessary. For everyday cooking, you’re better off using the cheap grocery-store brand extra virgin olive oil (Note: I part ways with Maggie here – I don’t recommend using canola for anything other than deep frying. Olive oil has a lower smoking point, but you’ll rarely cook at temperatures where that is a problem in the average consumer kitchen).